One of the main problems with plastics is that although we may only need them fleetingly - seconds in the case of microbeads in personal care products, or minutes as in plastic grocery bags - they stick around for hundreds of years. Unfortunately, much of this plastic ends up as environmental pollution. We've all seen the gruesome images of a sea turtle killed by a plastic bag, or the array of bottle caps, toothbrush fragments, and other plastic items found in the stomach of an albatross carcass. But what about the tiny microplastics that aren't as readily visible? Much of the hundreds of millions of tons of plastic waste in our oceans is made up of microplastics. These are defined as plastic beads, fibers or fragments with a diameter of less than five thousand micrometers (μm), equal to one-half centimeter. Nanoplastics are thousands of times tinier, with a diameter of less than 0.1 μm, and are also likely to be widely present. By comparison, a human hair ranges from about 15 to 180 μm across. Some of these microplastics are deliberately engineered like microbeads in a facial scrub. Others result from the break down of larger plastic items. I’m an environmental epidemiologist with a research group that studies exposure to chemicals commonly found in consumer products, including plastics, and how they affect human reproduction and development. Microplastics interest me because they are now turning up everywhere and we know virtually nothing about how they might impact human health. So are these tiny pieces of plastic damaging our bodies? There are numerous types of commonly used plastics with differing structures, properties, and chemical additives to make them stronger, more flexible, more rigid, more resilient to UV, or to prevent microbial growth or the spread of fire. Over the past couple of decades concern has grown over the potential danger to human health posed by unavoidable exposures to plastic additives. Because these substances are not chemically bound to the plastic, they leach from the products in which they are used. Certain chemicals – phthalates, bisphenol A, flame retardants – added to plastics to provide beneficial qualities may in turn disrupt hormones or other important functions following exposure. This could further lead to adverse reproductive and developmental effects or cancer. To date, most of the concerns for human health has focused on these additives in the plastics but not the plastics themselves. Recent studies have reported on the ecotoxicity of microplastics. They harm microscopic aquatic creatures called zooplankton by becoming embedded after ingestion, and they also adhere to seaweed, fish and eggs that marine animals eat, causing these plastics to move up the food web. Among certain small marine species, microplastics have been shown to reduce growth, hinder reproduction, and shorten the lifespan. A drop in the size or health of these smaller organism populations could have significant ripple effects throughout the food chain. Laboratory toxicology experiments, particularly among mammals, are few but have shown that high doses of microplastics adversely impacted liver function, altered metabolism and other important biological reactions in mice, and tended to gather in certain tissues in a manner that was related to the size of the particles . Furthermore, once in the environment microplastics can preferentially bind to, and subsequently serve as a vehicle for, other harmful chemicals such as toxic persistent organic pollutants and pathogens such as Vibrio spp, which causes food poisoning. As for human exposure, no direct studies have been conducted but microplastics have been found in virtually all bodies of water on the planet, and on agricultural lands. They have been found in shellfish, sea salt, honey, beer, tap water, bottled water, and even air. Thus, ingestion and inhalation of microplastics are of concern as routes of exposure. The uptake, distribution, accumulation (and interaction with tissues and organs), metabolism, elimination, and ultimate toxicity of microplastics in the body will depend on many factors. These factors include size, shape, type of plastic, surface properties, biopersistence, and the presence of chemical additives or other toxic agents the microplastics may have picked up the environment. Given that human exposure to microplastics is widespread, results from animal studies are certainly a cause for concern and an important factor for risk assessment. But, alas, lab animals and wildlife are often not accurate proxies for what might happen in humans due to differences among species or exposure scenarios. In addition, unlike in clinical trials for a new drug, it is not ethical for us to randomly assign groups of people for treatment – microplastics, for example – or placebo and modulate dose levels to see how exposures might impact human health. So we are left with observational epidemiology studies, which can be messy to conduct and are by definition reactive and unable to fully prove causation. There are different types of observational studies but we generally measure exposures, health outcomes, and other relevant information as best we can within a group of people who are going about their lives, and then look for statistical relationships in the collected data. In the worst case, workers who are exposed to high levels of toxicants as part of their job become sentinel species, and people in our communities are perceived as guinea pigs while scientists wait and watch for what might happen as exposures occur. There are many historical and recent examples of environmental threats that we identified after it was too late. Likewise, because exposures to microplastics are already occurring we need to consider how we can measure the effects on human health and act quickly to better understand the issue so it can be addressed appropriately. As an epidemiologist I know this certainly won’t be easy. Which individuals and populations are exposed to high levels of microplastics? How is the exposure happening? How can we measure or estimate exposure? What aspect of the plastic is most relevant - is it size, shape or chemical makeup of these plastics? Or is it the toxicants or pathogens that attach to them? Or all of the above? What health effects are of most concern? What life stages are most sensitive to exposure? Is the fetus most at risk? Or are adolescents? Or people with preexisting conditions? Is duration of exposure, peak exposure, or cumulative exposure most important? How do health risks from plastic microparticles compare to the health and safety benefits of plastic? To help us answer these questions, scientists who study exposures to chemicals, environmental epidemiologists, and other researchers need to utilize and stretch their various techniques, tools, and study designs to explore each of these smaller questions to figure out whether microplastics are harmful to human health. It could take many years or even decades before we are able to get a firm grasp of whether microplastics are toxic to humans. Whether or not we ever find adverse human health effects in association with microplastics, it’s clear we must take action to reduce the amount and toll of plastics on our environment. In addition to remediation efforts for the massive amount of plastic pollution already out there, better materials design through greater application of green chemistry principles is one positive step we can take. We can also reduce single-use plastics, introduce effective recycling programs on a global scale, and implement policies at the national level, like phasing out microbeads or banning certain additives, or locally at the city, county, or state level. 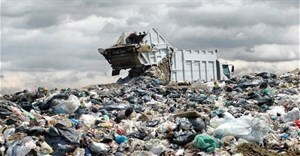 There is no question that synthetic plastics have made our lives safer and more convenient over the past half-century or so – keeping foods fresh, providing crucial parts for cars and aircraft, preventing electronics from starting or spreading fires, contributing to medical treatment and care, and helping deliver clean water to parts of the world that would not otherwise have access. The applications are endless and we rely on these materials. Data on rates and trends for plastic production and waste generation are nothing short of staggering. In the near-term the most effective strategy may involve each one of us taking stock of our plastic usage and disposal habits, compare that with our actual needs and what we could be doing differently, and adjust accordingly.